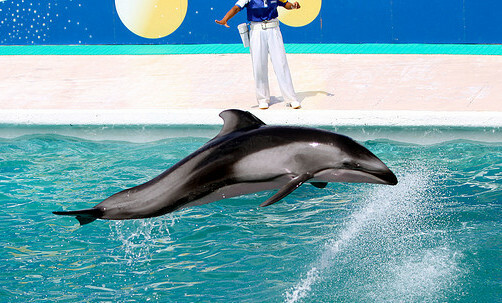 SeaWorld has requested the importation of a Pacific white-sided dolphin named Kirara who was captive born. Unfortunately, many of the other dolphins at Kamogawa SeaWorld seem to have come from a different point of origin listed as “wild” and ??? (source) In an earlier article we explored: “What is Kamogawa SeaWorld’s Connection to the Taiji Dolphin Hunt? Say No to The Importation of A Pacific White-Sided Dolphin“. “Japan alone has more than 50 dolphinariums and swim-with-dolphins programs, ranging from large aquarium facilities with huge tanks and dolphin shows to small tanks at motels or floating sea pens in harbors. In the last ten years alone, dolphin exports from Taiji, Japan, have gone to China, Korea, Ukraine, Egypt, Iran, Turkey, the United Arab Emirates, Thailand, Saudi Arabia, Taiwan, and the Philippines. By allowing this permit NOAA/NMFS will be indirectly supporting Taiji drive fisheries known for their horrific, and inhumane treatment of dolphins. Please do not do business with Marine parks associated with drive fisheries. * Removing Kirara from her pod and introducing her into a foreign environment may permanently effect her mental health. * Traveling for 20 + hours in a small coffin like container are unacceptable as it may permanently effect her health. Dolphins belong in the ocean not flying worldwide in crates. Again do not allow Sea World to import this dolphin. If you allow this you are again underpinning the slaughter and cruel capture of dolphins in Taiji, Japan by allowing SeaWorld to do business with the Kamogawa Aquarium.
. March 6, 2013 the comment period will end on the requested permit. Please compose your emails and letters today! Make your letter in your own words so it will not be seen as spam. Be a voice for the dolphins who need your help so much! Kamogawa SeaWorld 2009 Pacific white-sided Dolphin by Keiba Kate. “Sire was incidentally captured in set net located at Araisaki, Kyoto prefecture, Japan on Feb. 8, 1994 and transferred to Kinosaki Marine World on same date. He was moved to Kamogawa Sea World on Nov. 8, 1994. According to Ceta-Base’s marine mammal inventory Kamogawa SeaWorld acquired three Pacific White-Sided dolphins from the “wild” in January of 2007 named: Great, Ku, and Sky. Leon and Span two other Pacific white-sided dolphins show no acquisition data (Source) Ceta-Base also notes during Taiji drive fisheries, Season 2007/2008 & 2008/2009 21 Pacific white-sided dolphins were caught, 5 were killed & 16 live captured. 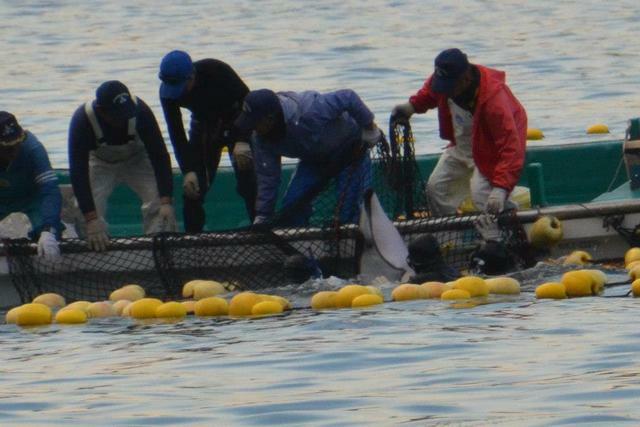 (source) Many of the dolphins at Kamogawa SeaWorld are listed as wild caught. See the list here. 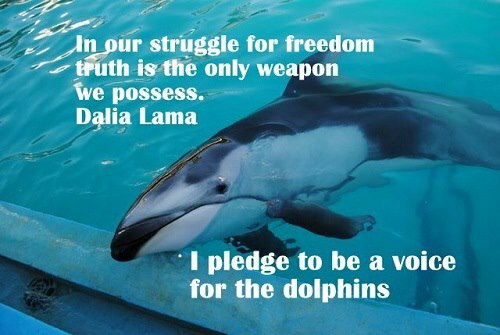 Be a voice for the dolphins imprisoned in marine parks worldwide. 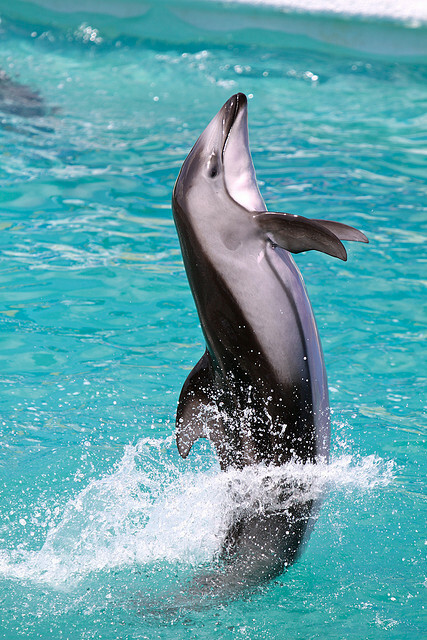 Speak out for the Pacific white-sided dolphins. For United States aquariums and marine parks to do business with any aquarium associated with drive fisheries is not upholding the Marine Mammal Protection Act. Asking NOAA for a hearing on this permit is imperative. The comment and request for a hearing ends on March 6, 2013 only days away so act now! Contact NOAA and politely ask them to refuse the permit and schedule a hearing. 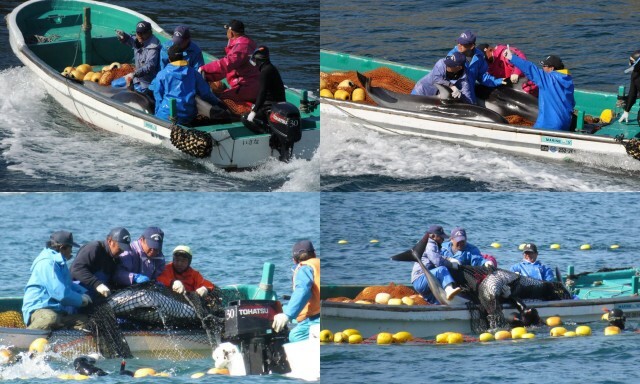 Request that Kamogawa SeaWorld prove they have no connection to drive fisheries with any of the dolphins they display. Read through the permit application and compose your objections and comments. Those individuals requesting a public hearing should submit a written request to the Chief, Permits and Conservation Division at the address listed above. The request should set forth the specific reasons why a hearing on this application would be appropriate.